Following a failed terrorist attempt to blow up a plane on Christmas day, the Transportation Security Administration has initiated new regulations aimed to make air travel even more unpleasant than it has already become. "We can't tell you what the new measures are," a TSA spokesperson explains, "but we promise you are really, really going to hate them." It is believed the enhanced screening techniques will include full body scans, opening luggage so bomb-sniffing dogs may urinate in it, and randomly jabbing travelers in the eye with a stick, or "passenger safety wand." Public response to the heightened tactics so far has been mixed. "It's a real pain," said passenger Bart Tillson, as a team of security screeners at Chicago's O'Hare Airport licked their fingers and stuck them in his ears, "but if it's this much of a hassle, it's got to make us safer, right?" According to TSA representatives, the goal of the security protocols is to make air travel so unbearable that "even a terrorist who is willing to blow himself up, won't be willing to go through an airport to do it." WASHINGTON, DC- The Senate health reform bill passed a second procedural vote this morning, and is on track to come to a final vote on Christmas Eve. 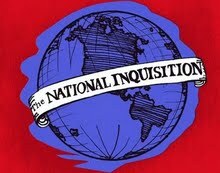 In honor of the occasion, the Inquisition offers this poem. Limped a bill much worse than the day they began it. In hopes that insurers would give him more dough. Those insurers were nestled, all snug and in bed. With Dems on their payroll, they had nothing to dread. Keep the good of this bill continually shrinkin'! But Pres. Obama, whom the people hold dear. Boldly proclaimed his strategy: "Give them whatever they ask." Labeling market competition a socialist plot. And explained how health care was the goal of the Nazis. This bill boasts insurance for 30 million who lack it. So call your senator now (yes, right now) to support it. 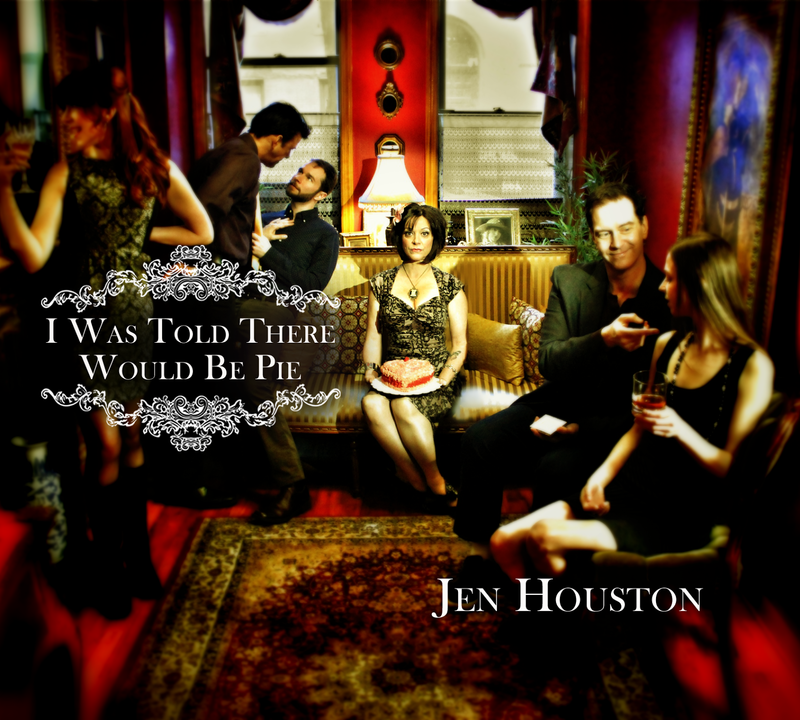 On Christmas morning we'll cheer, hoping promises stick. Merry Christmas to all, and please don't get sick. To call or email your senator, follow this link. It is really, really easy. *These Senate Democrats who have hindered health reform all have taken over $100,000 in campaign contributions from the insurance industry. Sen. Lieberman received $644,394 in his last campaign. No More TAG for Tiger? 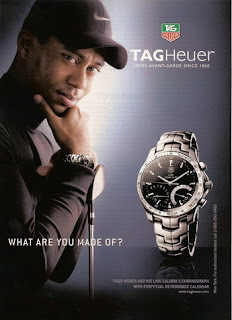 On Friday, TAG Heuer announced it will drop Tiger Woods from the ad campaign for its watches. The Swiss company hopes instead to make him the spokesperson for their new line, TAG Everything That Moves. COPENHAGEN- Secretary of State Hillary Clinton arrived at the UN Climate Change Conference this morning with a plan to reduce greenhouse gas emissions by over 233,000 tons a year. She is asking the entire population of China to hold its breath. 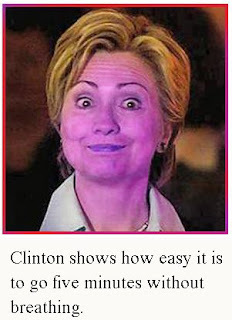 "I know it sounds tough," Clinton told the Chinese delegation, "but if you can all hold your nose and mouth for just five minutes everyday, you'll be cutting almost as much CO2 as Saint Lucia emits all year." The Secretary of State then added, "and since Saint Lucia's emissions are expected to drop to zero when it's completely underwater, we'd be looking at an overall annual reduction of over half a million tons by 2025." Several delegates objected that the US should reduce its own emissions before asking other nations to stop breathing, but Clinton defended her proposal as more realistic. "Believe me," she explained, "it'll be easier to convince a billion Chinese to stop breathing than to get anything through Congress." WASHINGTON, DC- Sen. Joe Lieberman (I-CT) first threatened to filibuster any health bill that included a public option. Though many reformers considered the public option the centerpiece of reform, Senate Democrats swiftly bowed to the Connecticut senator's wishes, offering a compromise of a Medicare "buy-in" for Americans aged 55-64. Lieberman, who had previously supported the buy-in, then demanded that it be stripped from the bill as well. On Monday, Democrats complied. 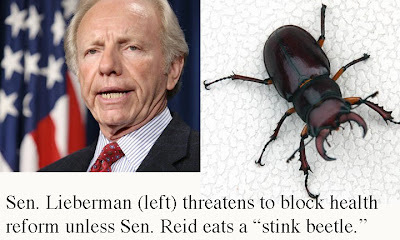 Now the independent senator is threatening to filibuster any health legislation that does not include a provision requiring Senate Majority Leader Harry Reid (D-NV) to eat a bug. Although Lieberman took $644,394 from the insurance industry in his last campaign, and although his wife has worked as an insurance lobbyist, the senator maintains that he is not trying to block reform altogether. "Nobody wants health reform more than I do," he explains, "but it has to be fiscally responsible," adding, "and Harry has to eat a bug. That's only reasonable." WASHINGTON, DC- Details of the health care compromise between Senate Democrats are still scarce, but reports suggest that reformers have traded the prospect of a public option for a "Medicare buy-in," that would allow uninsured people as young as 55 to obtain coverage through the popular seniors' program. Senate Majority Leader Harry Reid (D-NV) has described this plan as "better than the public option." "The Medicare buy-in will offer affordable, reliable health care to every American," a spokesperson for the 70-year-old senator explains, "provided that they wait until they are 55 to get sick." So far, health reform supporters are enthusiastic about the deal. "As soon as I heard, I made an appointment for my son to see a pediatrician in 2061," says Janice Larker, whose 4-year-old is among America's 9 million uninsured children. Newlyweds Cara and Michael Tennison are also pleased. "We're eager to start a family in just 31 years," Cara beams, adding "and in only six years, my mother can get that lump checked out." Senate Minority Leader Mitch McConnell (R-KY) already has expressed opposition to the plan, warning that while Republicans are eager to hash out a deal that is truly bipartisan, they will not support any health care legislation that increases the deficit, reduces the deficit, or leaves the deficit unchanged. WASHINGTON, DC - President Obama will unveil a new plan for job growth in a speech today. Although the president has not yet given his speech, House GOP leader John Boehner (R-OH) has already derided it as "a giant step backwards." No details of the plan have been released, but White House sources suggest that it may involve left over TARP funds. In anticipation that the president might use money set aside for bailing out banks to create jobs for average Americans, Sen. Judd Gregg (R-NH) has preemptively called whatever the president's plan is "an absolute outrage." A full denunciation of the as-yet-unknown jobs plan came yesterday from Heritage Foundation Senior Fellow, Quincy Wagstaff, who delivered the following address. SPRINGFIELD, MA- With the Tiger Woods scandal in full bloom, every paper in the country is devoting front page coverage to it-- every paper that is, except one. The Fillmore Flyer, a student publication of Millard Fillmore High School, has adopted a controversial editorial policy of devoting no ink to the golf superstar and his peccadilloes. "Between the upcoming winter formal and the cafeteria stink bomb incident, it just seems like we've got more important news to cover," says senior, Ricky Blovtiz, Flyer editor-in-chief. "The Flyer is just copping out," says New York Post editor, Col Allan. "This week the president committed 30,000 more troops to Afghanistan, the Senate is debating historic healthcare reform, and New York killed gay marriage, but we never let Tiger get bumped as lead story." 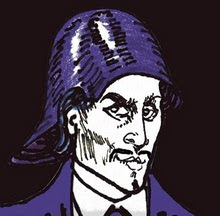 The New York Times, Washington Post, and Chicago Tribune also found front page space for articles and pictures related to the scandal. Even the National Inquisition is running a gratuitous image of Woods' wife in a bikini. Fillmore principal, Ted Herschel has apologized on behalf of the school paper. "These are just kids," he explains. "We can only hope that when they grow up, they'll have a better understanding of what's truly important." LINCOLN, NE- With the UN Climate Change Conference in Copenhagen approaching, climate change skeptics are becoming increasingly vocal. "Environmentalists make wild claims with nothing to back them up but science," says Ogden Clover of the Nebraska based, Red State Alliance. "Now science is good for a lot of things, like making volcanoes out of baking soda and vinegar, but what it's not good for is dealing with matters of faith, and real Americans have complete faith that there is no global warming." Like most red state residents, Clover believes that "the myth of global warming" is a politically motivated conspiracy between liberals and every single climatologist on the planet. He also adamantly insists that he and other climate change deniers are "absolutely not involved" in a conspiracy of their own to annihilate the blue states. "The idea that melting polar ice caps could cause massive flooding and wipe out the east and west coasts and Hawaii is downright laughable," says Keith Stewart of North Dakota Future Beach Front Realty. "I mean, come on." One of the most outspoken disbelievers of global warming is professional Facebook-poster, Sarah Palin. "If I believed for one minute that global warming could destroy the Obama states, kill Katie Couric and Tina Fey, and change my state from a frozen wasteland that resembles Dante's ninth level of hell to a tropical paradise, of course I'd be against it," says the Alaskan oil advocate, "But we all know it's not true." Palin has yet to confirm speculation that she will run for president in 2012, but a Red State Alliance poll suggests that if carbon emissions remain unchecked, she could easily sweep all twenty-two states.